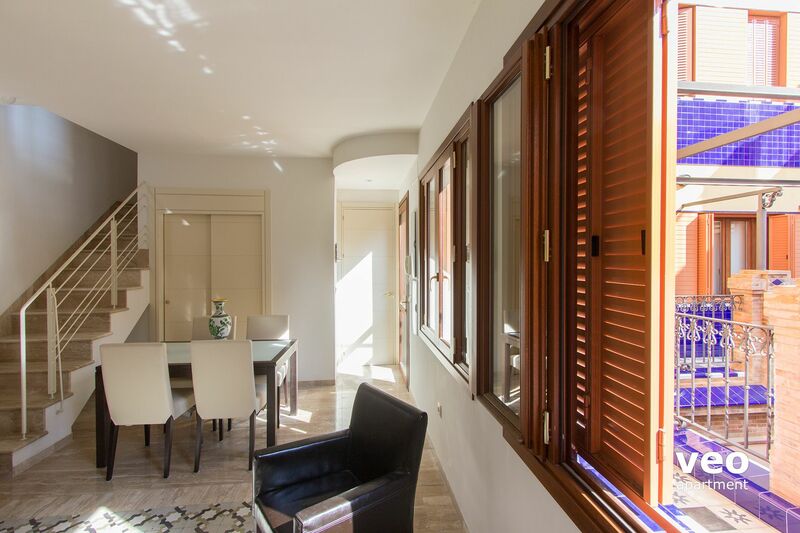 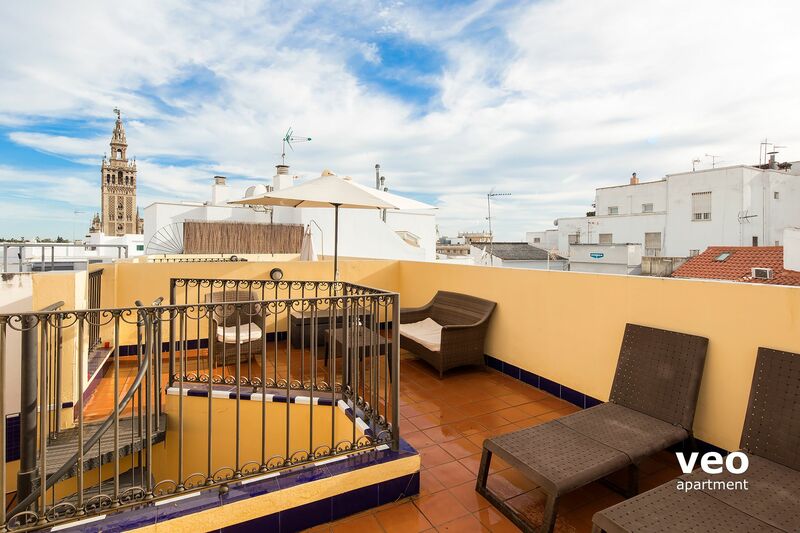 Duplex apartment with one-bedroom and a large private roof-terrace. 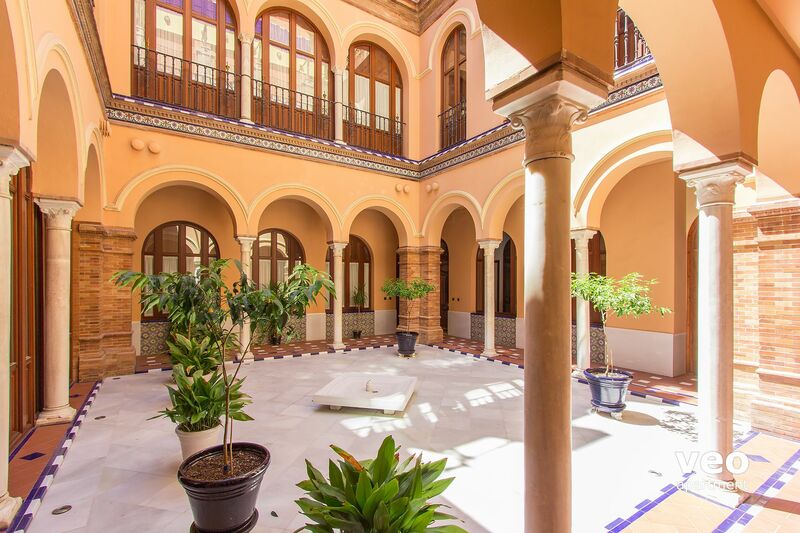 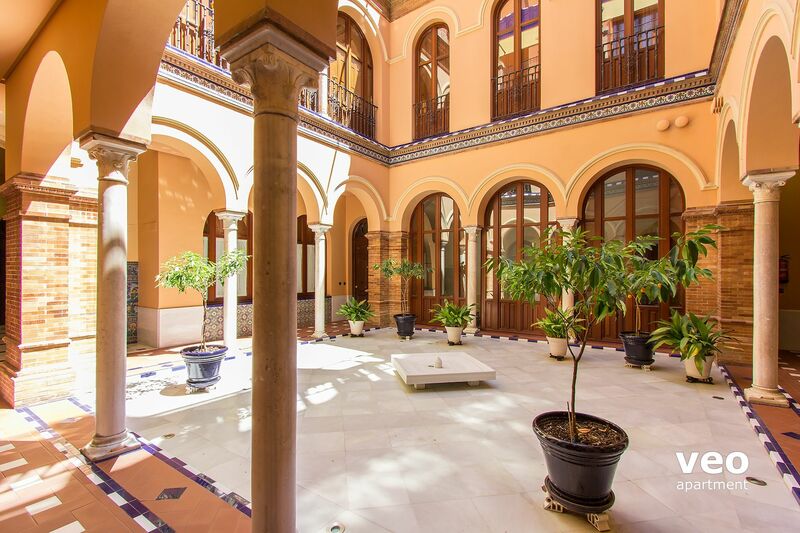 It is located in the very heart of Seville, close to the city hall and the Cathedral. 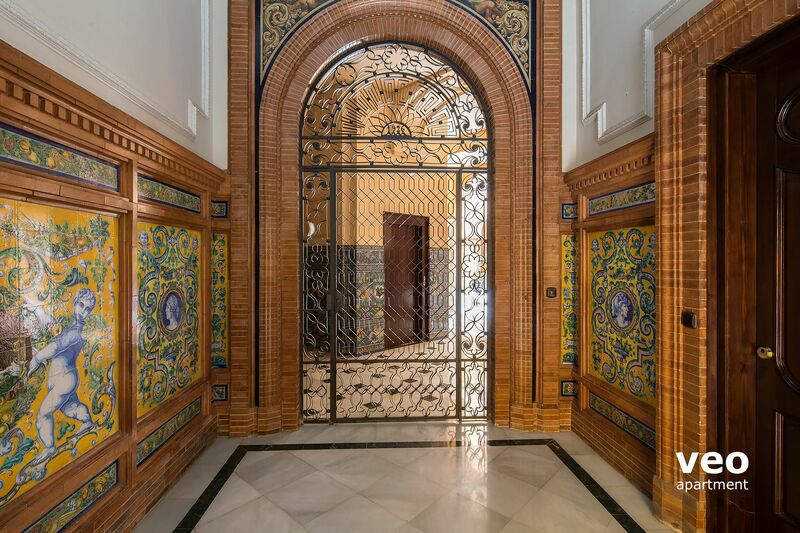 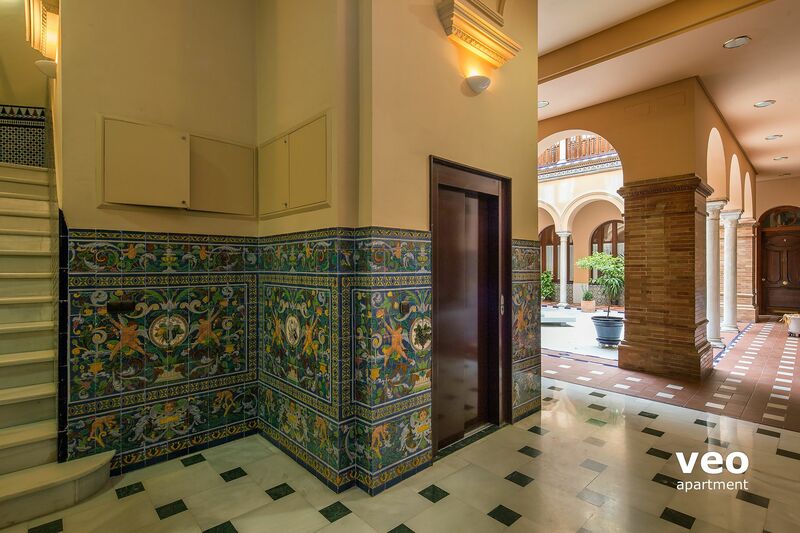 The apartment belongs to a "casa palacio" built in the Sevillian Regionalist style, which dates from the beginning of the 20th century. 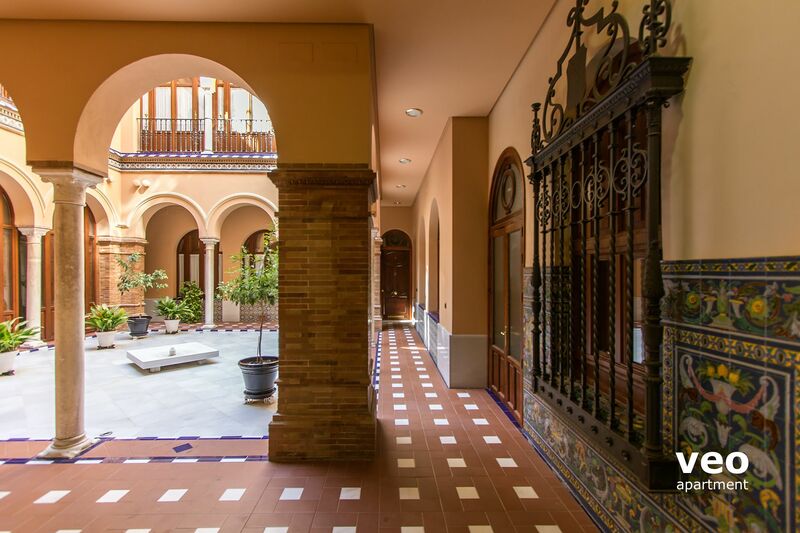 The building has a majestic central patio decorated with ceramic tiles and a colonnade of arches. 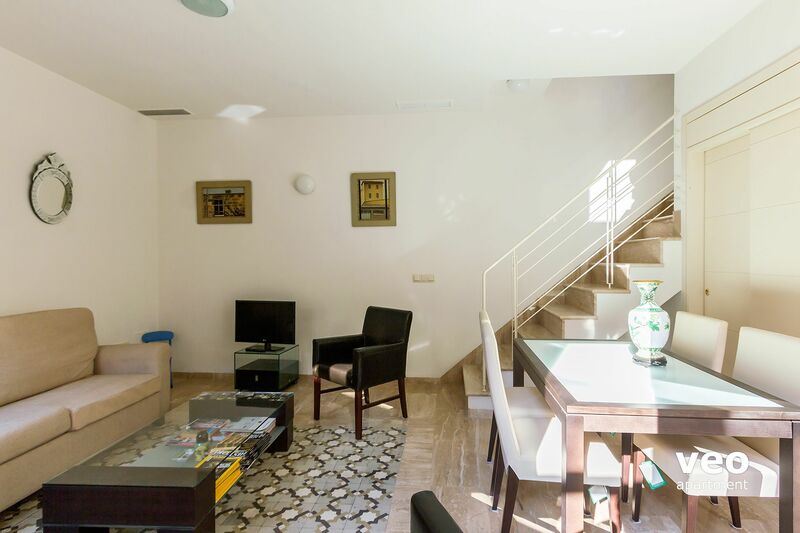 Lower level: Living room with double sofa-bed, 2 armchairs and dining table with 4 chairs. 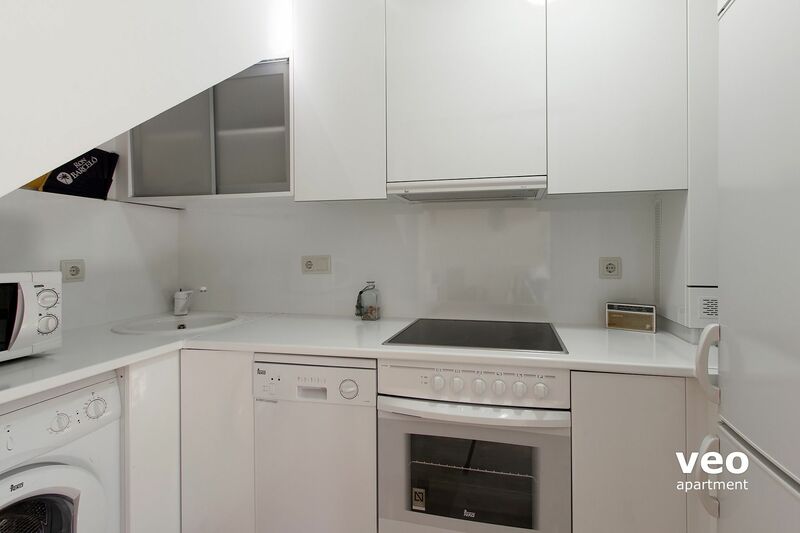 Kitchen with dishwasher, oven and washing machine. 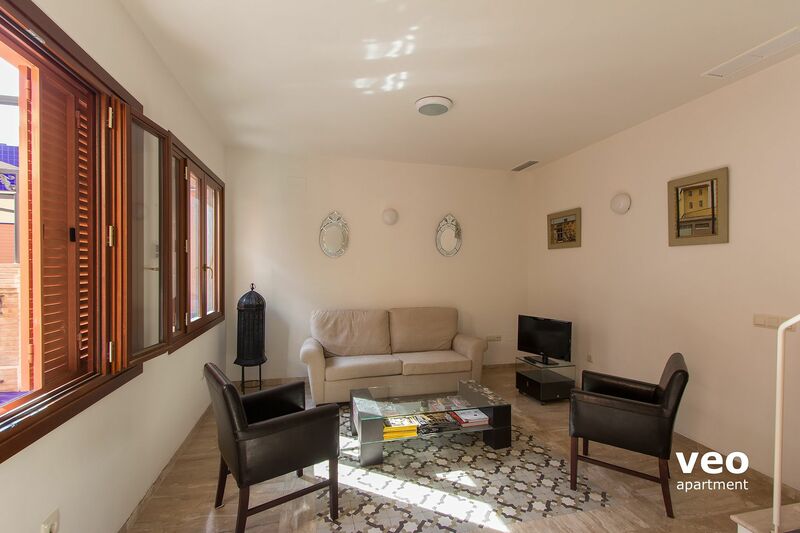 Other features: central air-conditioning (cold / hot) and TV via cable with english channels. 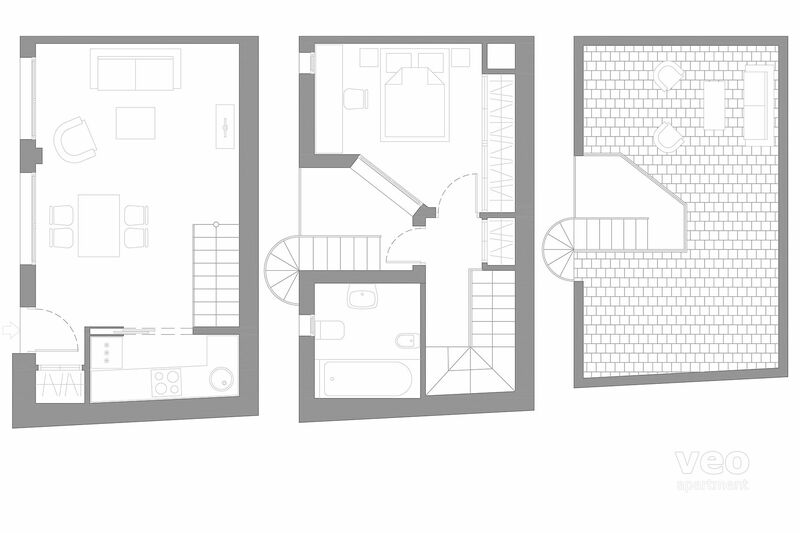 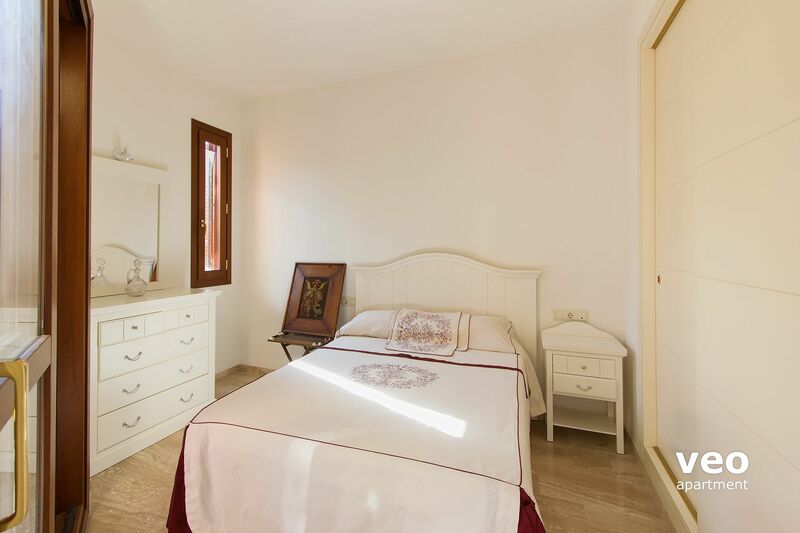 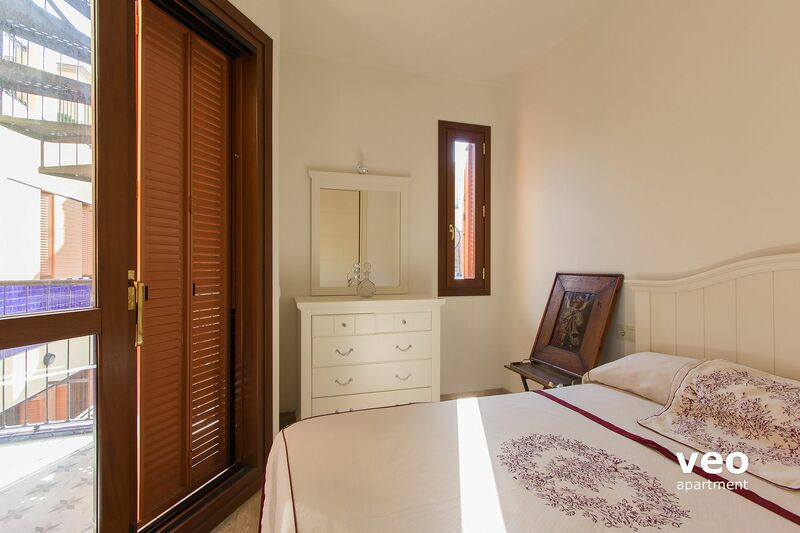 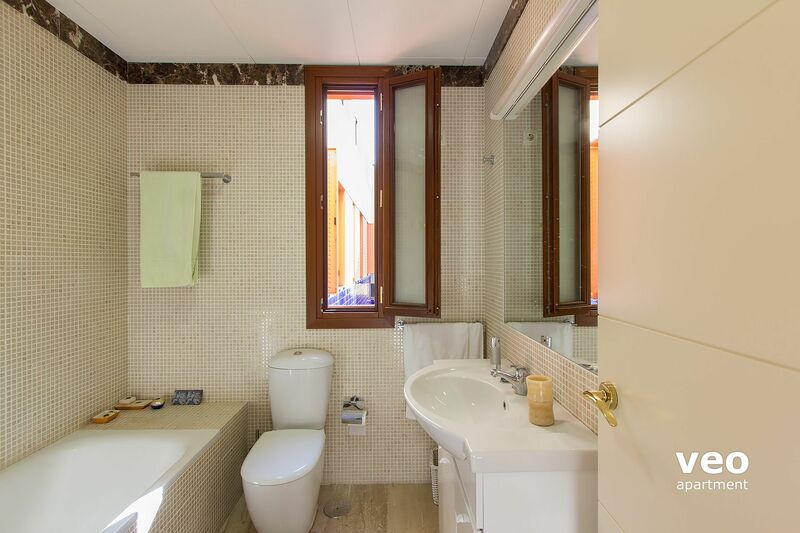 Upper level: Bedroom with double bed and a built-in wardrobe, bathroom with bathtub. 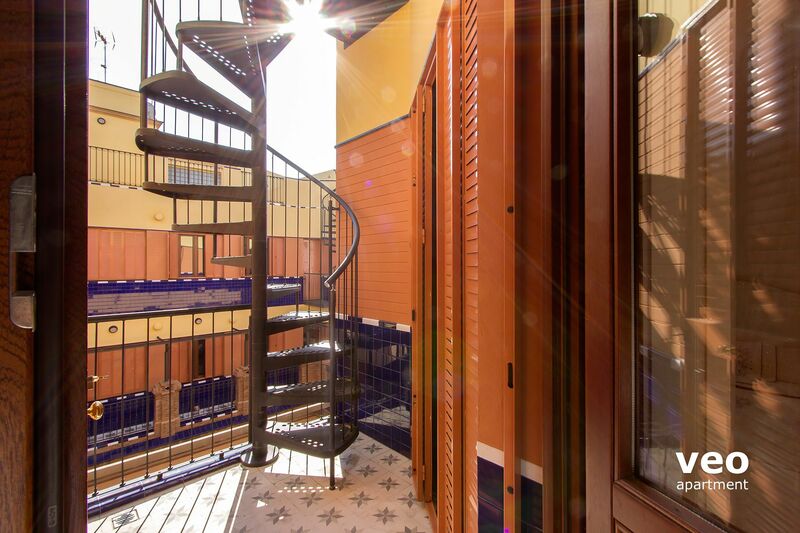 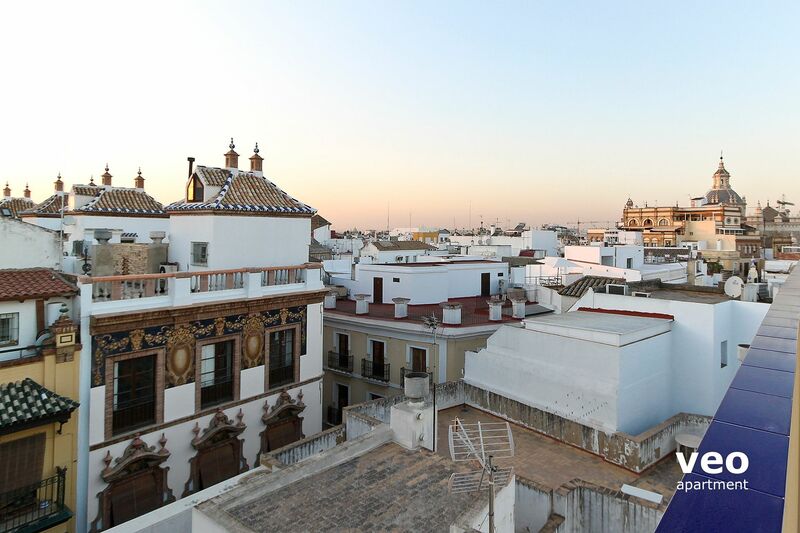 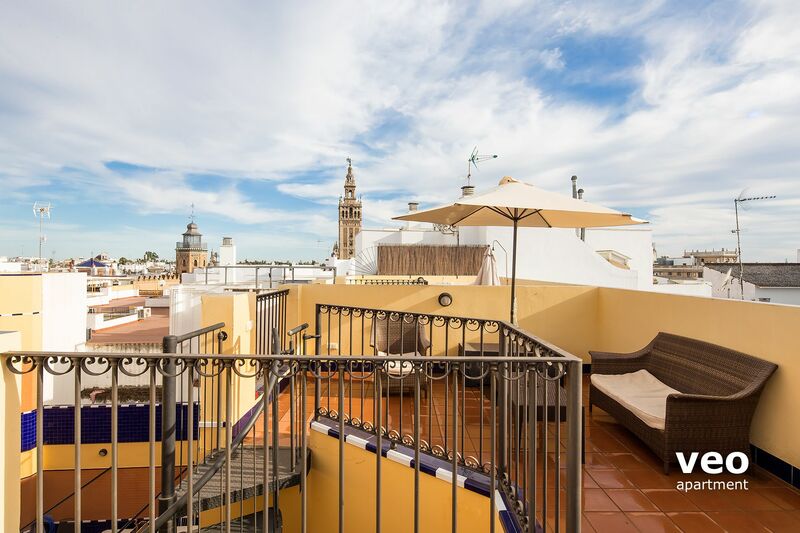 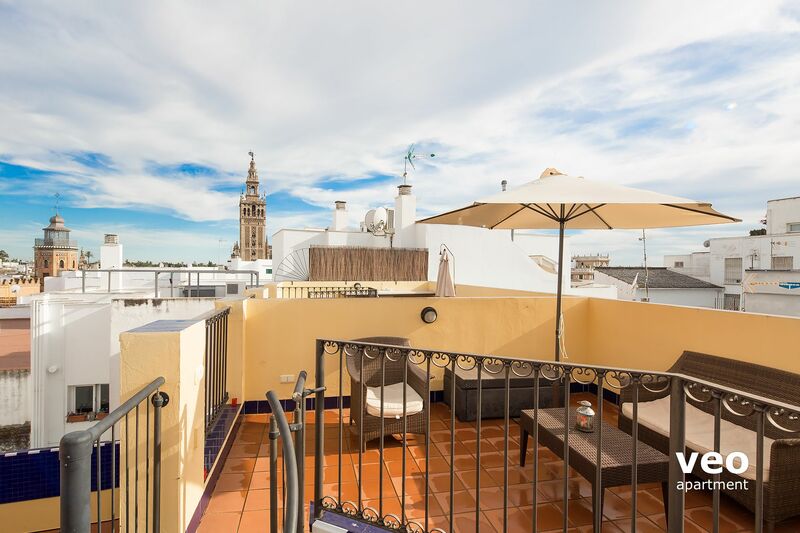 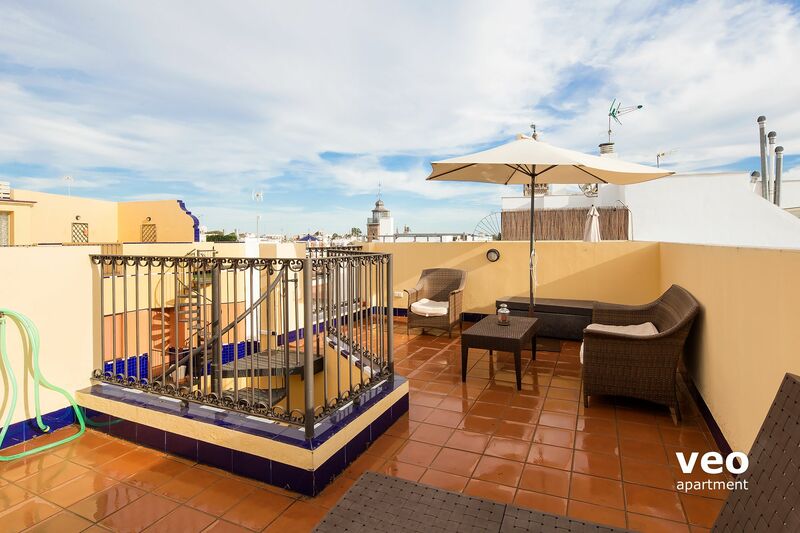 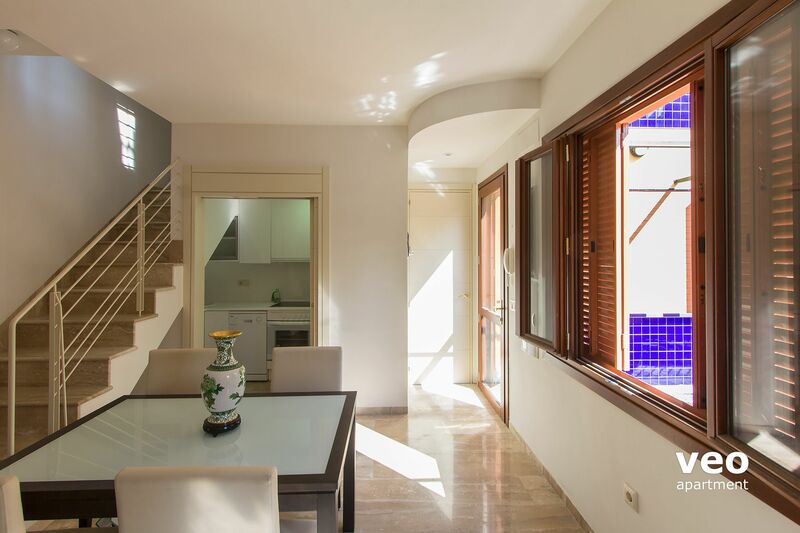 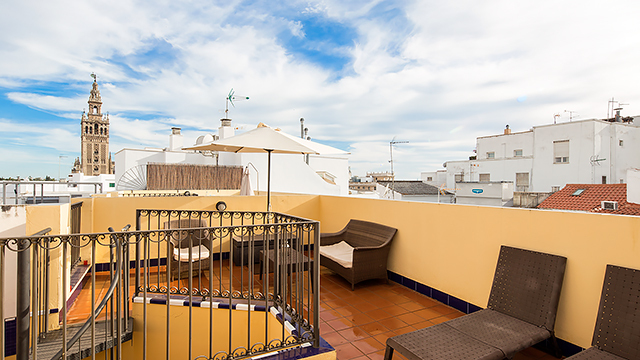 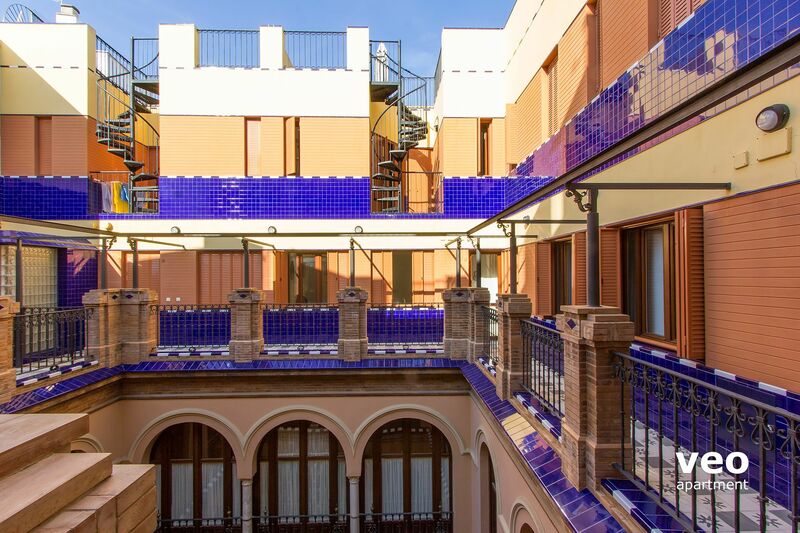 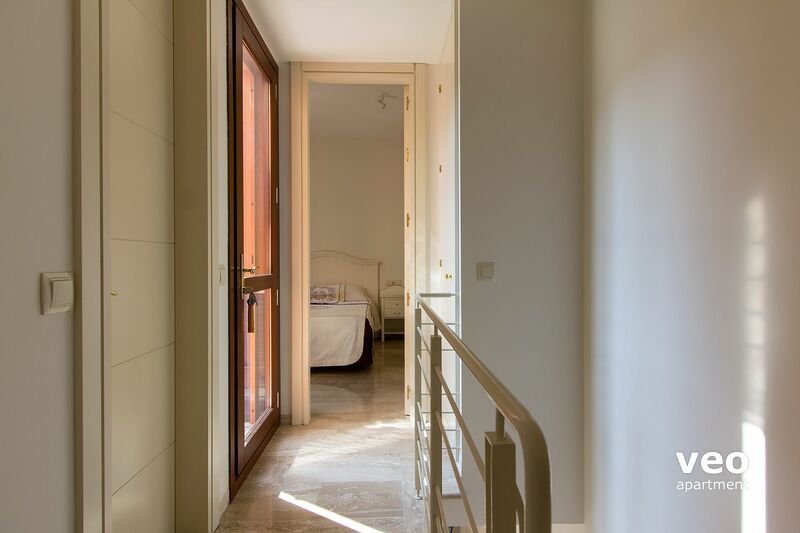 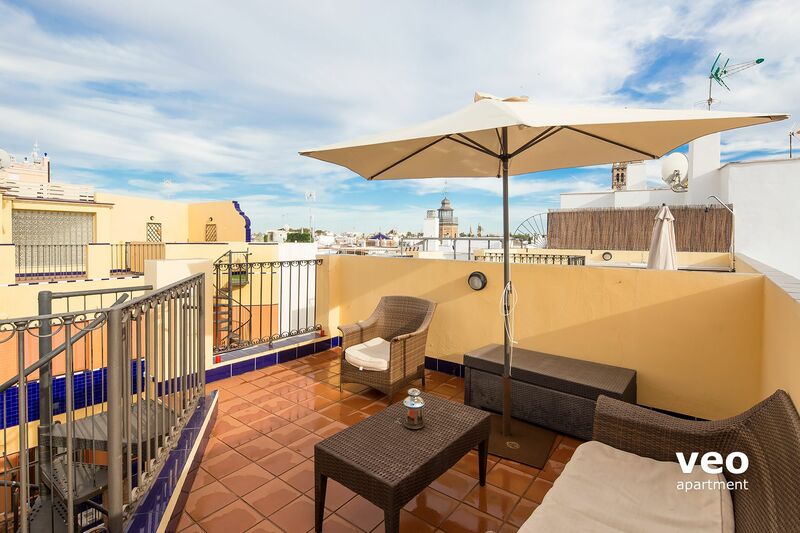 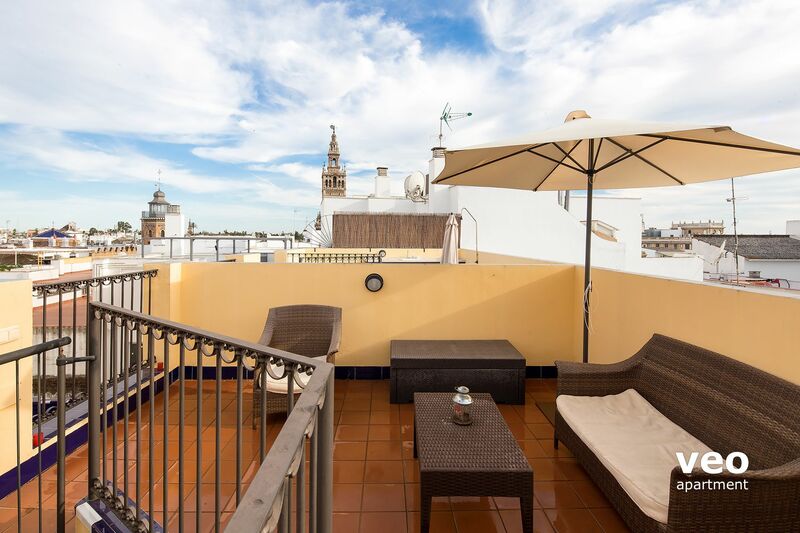 From the landing there is a door out to the external spiral stairway with access to the roof terrace, at the top of the building, which is equipped with garden furniture and has magnificent views over the rooftops of Seville.